Commemorative coin fever was running rampant in 1936 and many coins that celebrated events that were of local or regional importance were struck. 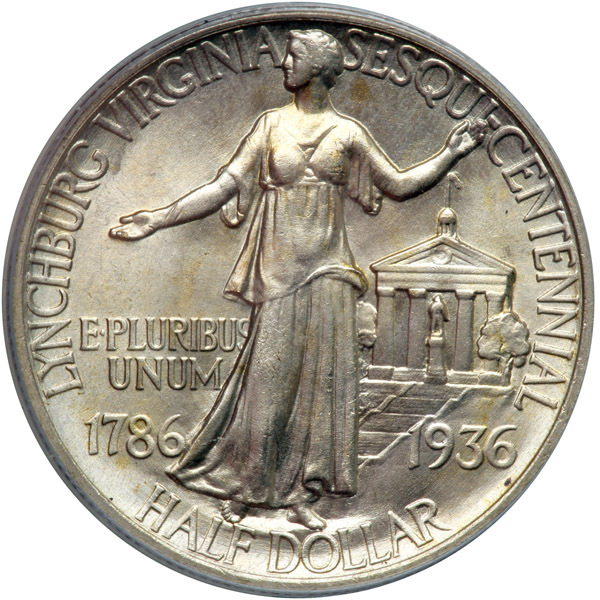 The 1936 Lynchburg Sesquicentennial half dollar was one of those coins. While Lynchburg has had slight significance at times in the history of the United States, it has never been of great importance to the country as a whole. Yet Congress was inundated with a flurry of commemorative coin bills at this time, legislation authorizing the mintage of up to 20,000 Lynchburg half dollars was passed on May 28, 1936. 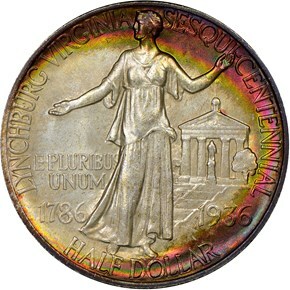 The Lynchburg Sesqui-Centennial Association selected sculptor Charles Keck to design the coin. They initially wanted a depiction of the city’s founder, John Lynch, but unfortunately no portrait of him survived. 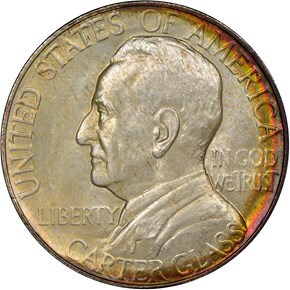 Therefore, the obverse instead depicts then-living U.S. Senator Carter Glass, a native of the city. Below his portrait is his name, and UNITED STATES OF AMERICA is above on the periphery. To his left is LIBERTY and to the right, IN GOD WE TRUST. The reverse of this issue features a standing figure of Liberty in modern dress. In the background was placed Lynchburg’s Monument Terrace, with its Confederate Memorial, as well as the Old Lynchburg Courthouse. LYNCHBURG VIRGINIA SESQUICENTENNIAL forms an arc around the top edge of the coin, and the dates 1786 and 1936 are to the left and right of Liberty. Also to her left is the national motto E PLURIBUS UNUM, and below is the denomination, HALF DOLLAR. 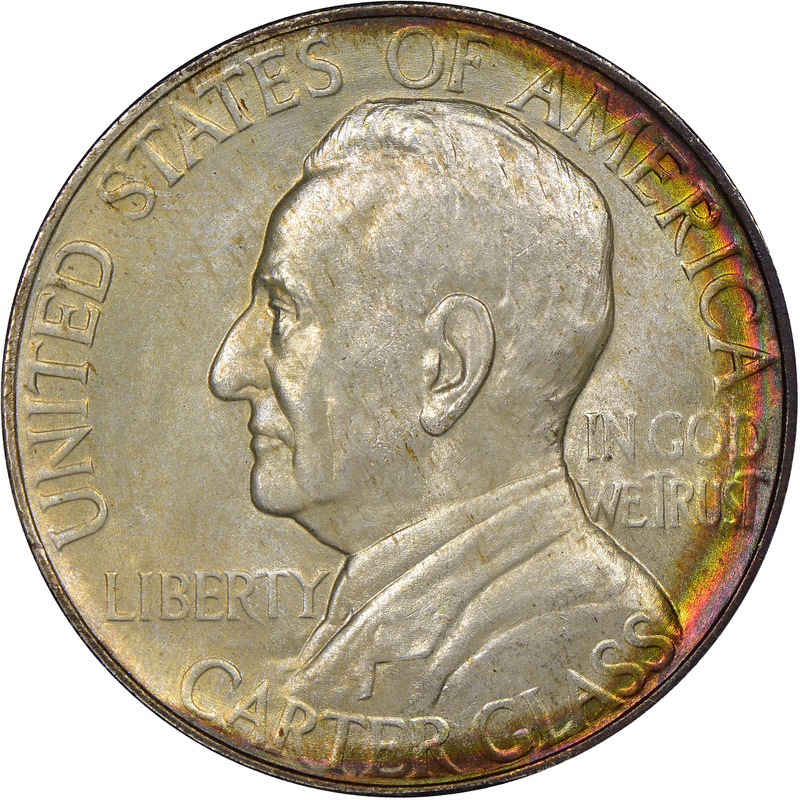 The 20,000 coins authorized were all minted in September of 1936. 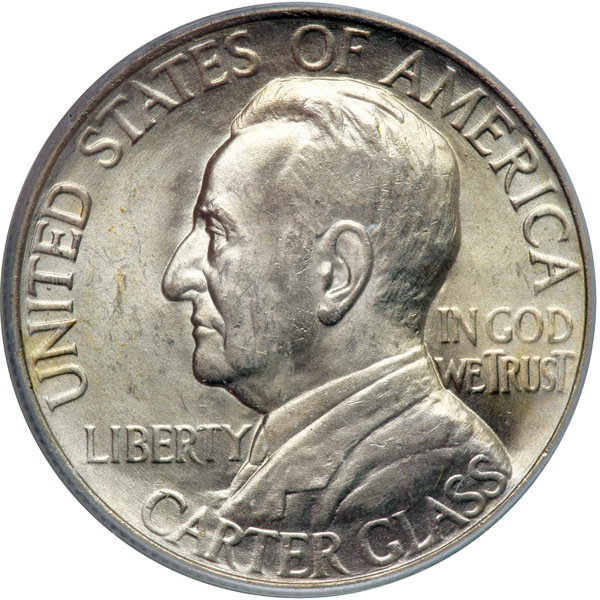 While the anniversary that the coin celebrated was not of National Importance, commemorative coin speculation was rampant during the mid 1930’s. Due to this, the coin quickly sold out, leaving the final mintage at 20,000 coins.